Beauty Professor: FOTD...on the Road! I've been on a road trip in Wyoming as of late (full recap post come come!) and have been embracing clean and simple makeup for the long drives, wild weather, natural wonders and late nights! Above: A close up of the eyes. 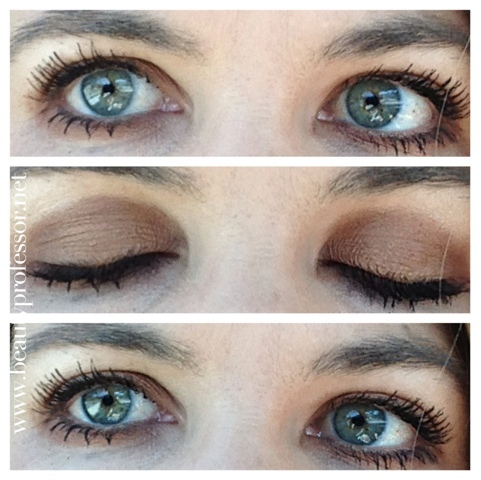 Above: Jouer Powder Eyeshadow in Pecan is a light, warm camel-toned brown...super pigmented and very long lasting...no creasing! 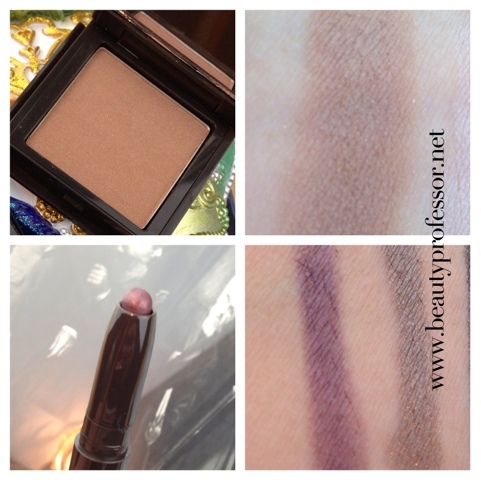 Jouer Eyeshadow Crayon in Renaissance is a deep burgundy that glides on and doesn't budge! Above: A closeup of Kanebo Sensai Ususakura...this bright, cool pink has extreme opacity and a violet undertone that makes it completely unique. Above: Jethro perched high atop luggage...he is the lowest-maintenence traveller of all! I hope your August is going well...please keep me posted on what is new! What products have you been loving lately? I have a host of good things coming up on the blog, including my interview with Napoleon Perdis, a review of his latest collection, some more Jouer product features and the introduction of a few new beauty brands in my life! **Some products mentioned include PR samples provided for review, however, as always, all of my opinions are expressly and unequivocally my own. This post contains affiliate links; my disclosure policy contains additional details on how these work. Looking beautiful girl! Jethro is so cute!! Oh my...thank you, Krystal!! Jethro says "hello!" Thank you so much!! 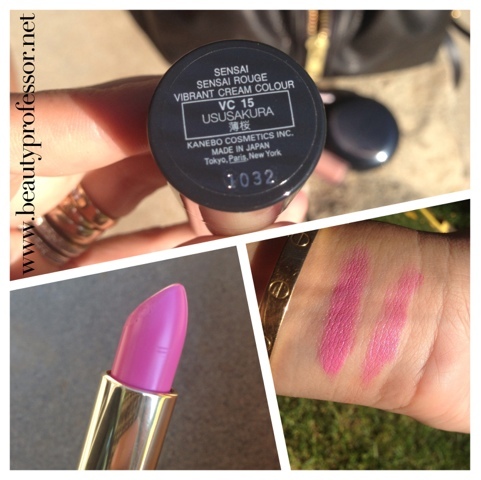 I This lipstick color is somehow bright yet light...becoming one of my favorites! Loved the post and the cute picture of Jethro! I can't wait for your interview with Napoleon Perdis and your next foundation review. I am eagerly awaiting my recent on-line purchases of Givenchy Le Prisme Visage soft matt powder and Kenebo sensai cellular foundation, which I am thrilled to try on your recommendation. I am also a Tom Ford lover (despite how expensive it is, particularly here in Australia) and recently purchased a lipstick in Pink Dusk, which I am absolutely loving! 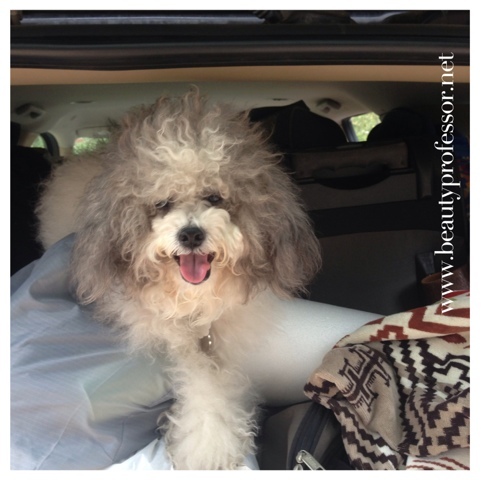 Jethro is an especially good traveler...so well behaved and upbeat ; ) Working on putting the final touches on the Napoleon post and NARS creme foundation reviews! I can't wait for you to get your Givenchy powder and Kanebo foundation...I hope you love them as much as I do!! Congrats on Pink Dusk...it was my first TF lipstick and I'm almost out of it now. Such a pretty pink! You look gorgeous as always! Don't you love the Jouer crayons?! They are wonderful!! I don't think there is a Jouer product I've tried that I didn't adore! BTW I'm still totally in love with the Kanebo CPCF :D have an awesome trip and be safe! xoxo and have a wonderful start to your week! I am so glad you're having a great trip! You deserve it girl!! Enjoy the rest of your trip and have an awesome week!! It's been a truly lovely getaway! Thank you! I have almost all of the same Jouer Crayons as you but have been wearing a lot of Baroque and Renaissance lately...I need to try Rococo (the one I'm missing!) because I like the idea of wearing it as a base. I agree...a sincere thumbs up for the Perfector, Luminizing Moisture Tint and Cheek Tints...absolutely brilliant!